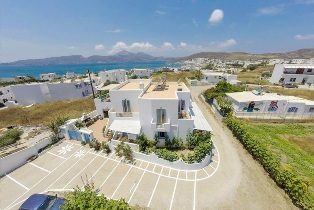 Welcome to Milos and to Aggelos’ Studios. 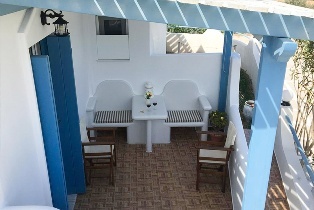 Our recently built building is in a quiet area, close to the center of Adamas. 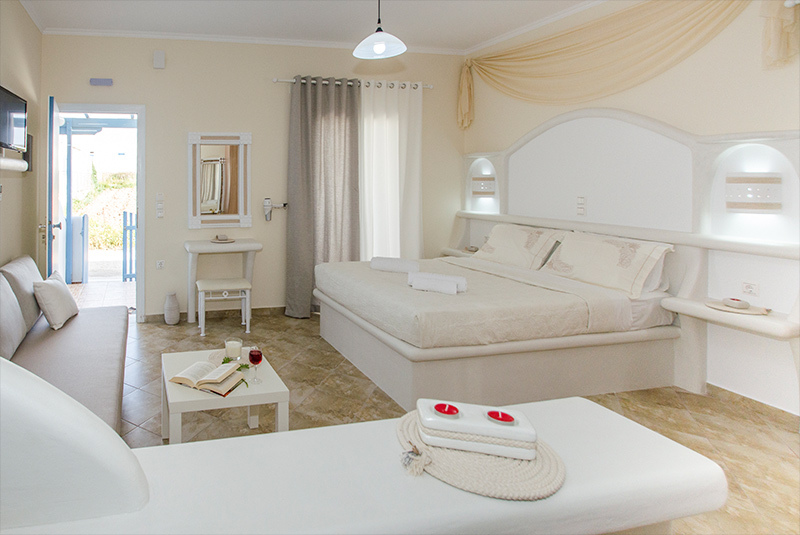 Here we built four spacious studios, one apartment and our own house which allows us be present 24/7 with our hospitality and service. 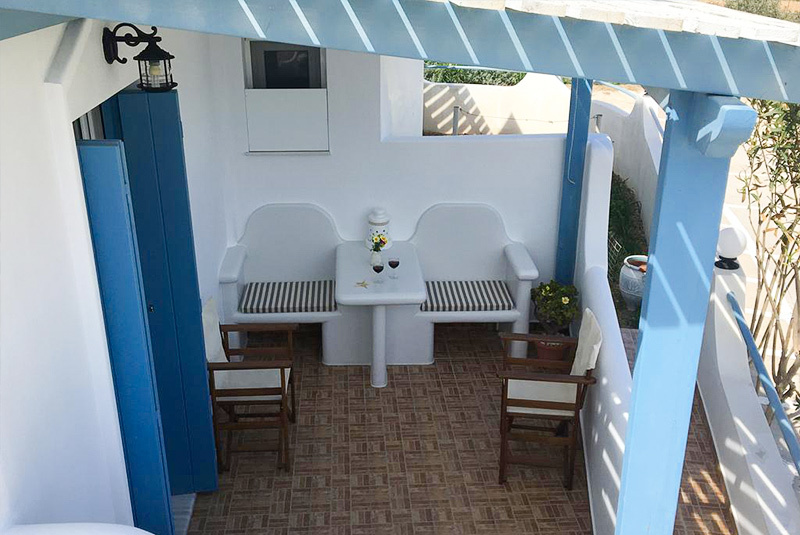 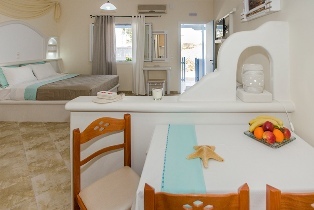 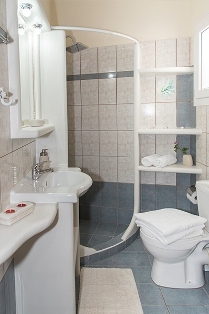 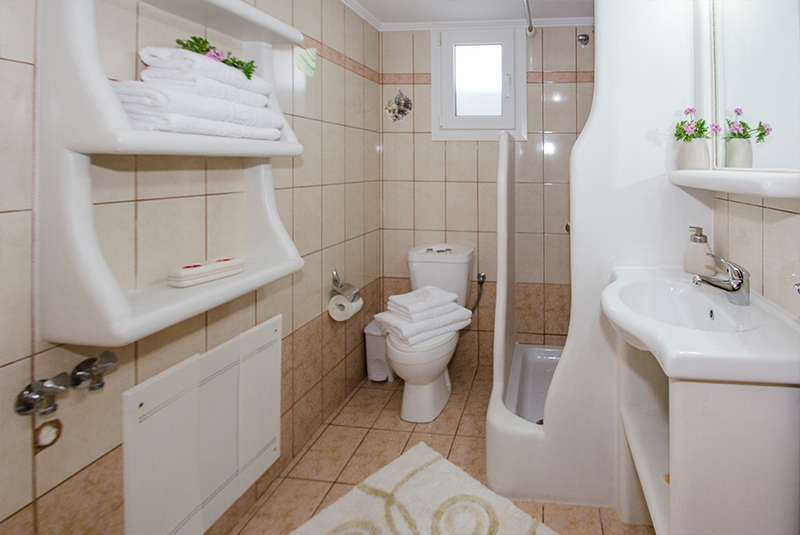 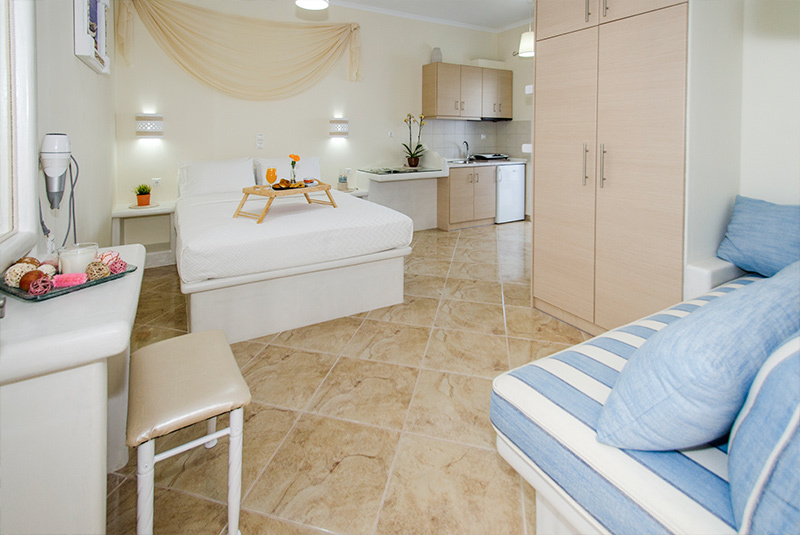 At Aggelos Studios, all studios have their own veranda, a small kitchen, fridge, comfortable beds, TV, free Wi-Fi, air conditioning, hairdryer, and a large bathroom. 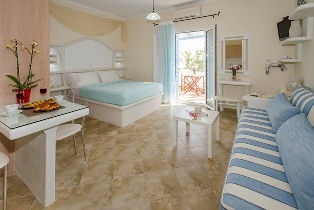 The studios are large enough to host on request, a third bed. 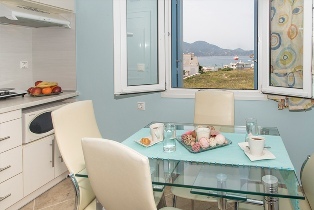 The apartment has two bedrooms and can host up to four people. 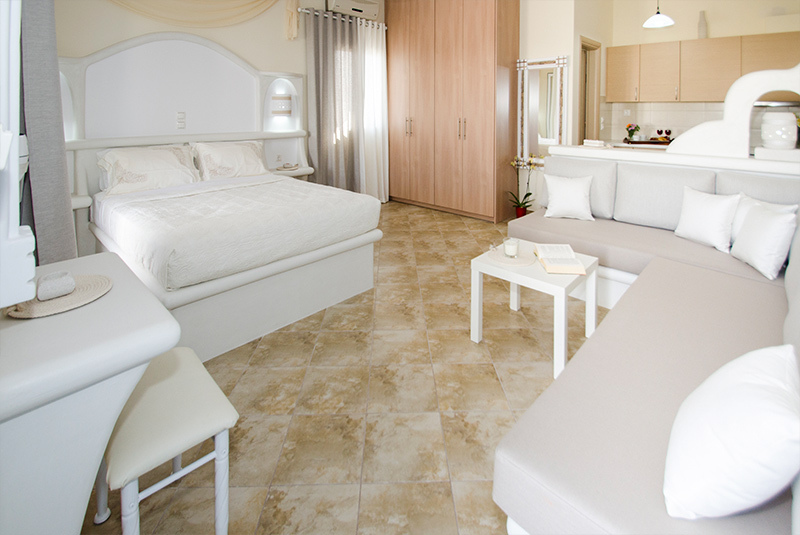 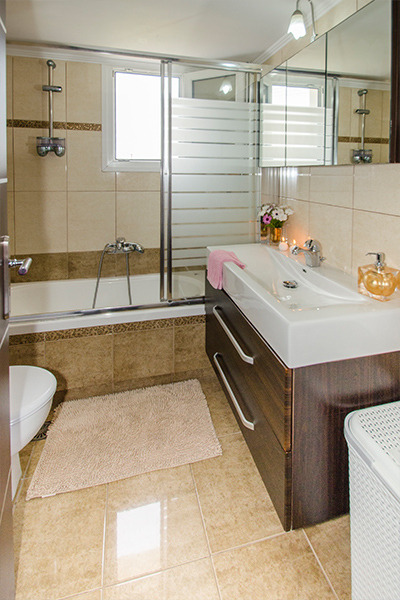 At Aggelos Studios we directly take care of the daily cleaning and are available for any help and suggestion you may require. 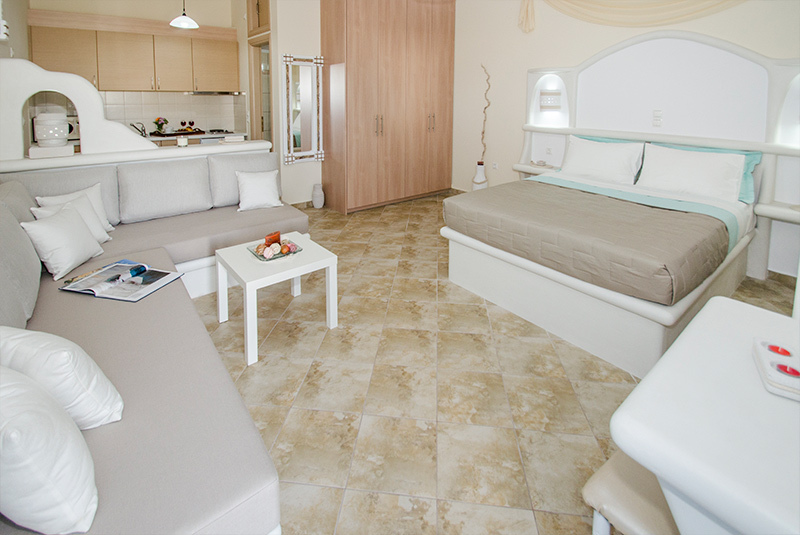 Free transportation from and to port/airport and a large own parking space is available. Write to us, we will be glad to answer quickly any question you might have.